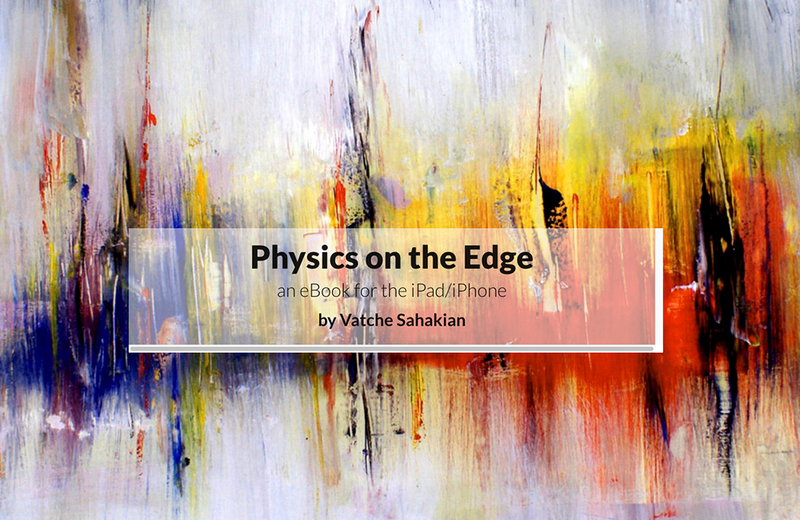 In his new book, Physics on the Edge, Vatche Sahakian, professor of physics at Harvey Mudd College, seeks to share topics of modern physics with a general audience using novel e-book technology. Beginning April 5, to celebrate the book’s release, Sahakian will deliver a series of lectures on campus called “Physics on the Edge of Sanity: From Quantum Mechanics to Black Holes to the Big Bang.” Physics on the Edge is available from iTunes. Here, Sahakian describes the e-book format, applets and his editing process. I’ve always enjoyed the challenge to distill modern research ideas in physics down to their essence, disentangled from their mathematical scaffoldings, so that I understand them better myself. I’ve learned that one way of achieving this is to try to explain a sophisticated topic to someone with little background in advanced mathematics and physics. Some years ago, I gave a series of public lectures at HMC about ideas at the forefront of theoretical physics. The lectures were received very well, drawing large audiences and provoking lengthy Q-and-A sessions afterward, with excellent, probing questions.  After that, I decided to put things in writing and eventually started researching new multimedia-based technologies that can be used to make the subjects more accessible. After several years of learning the necessary programming technologies, I started putting the electronic book together. A couple years later, the task was complete. Why do an e-book instead of a printed version? Going through the public lectures, and later trying to write down my thoughts, I realized that there was room for improvement: I often needed a way to visually portray advanced concepts in lieu of using mathematical equations. The electronic book technology however was still not powerful enough for the task. So, I started dabbling in programming web-based applets instead. Over the past few years, e-book technology advanced enough that one is now able to embed full-blown interactive physics simulations within an electronic book. So, the natural thing was to move the project to the electronic book format. The result is a unique publication—interactive applets closely integrated with the flow of the text in such a way that either component cannot stand on its own, but together they offer a solid exposition of advanced concepts in physics to a general audience. How do the e-format and applets make the text more accessible to a general audience? The way I approached things is to first write an outline of a topic with some text and equations. Then I would go over the outline, expanding on the topic and replacing equations with visual interactive simulations. I would then give the material to my wife, who is a philosophy professor, and she would come back to me with suggestions on making the material more accessible. This feedback was invaluable; it often resulted in adding more applets and reflowing the narrative. At the end, you have a text that needs the applets in an integral way, and vice versa. I feel that the approach really breaks new ground in the electronic book format. I have not seen anything that even comes close to the level of integration of interactive visual elements and traditional text. I believe it is simply not possible to write this material at the needed depth and level of accessibility before the advent of the latest electronic book technologies. It is an interesting time in publishing, where one rethinks a textbook from the ground up with visual simulation elements from the outset. In a sense, it’s a natural extension in publication of some of the ideas of the flipped classroom where demos and student participation are integrated within the instruction. Have you tested the book on non-scientists? What was their feedback? I have tested it on my wife, as I mentioned; she has helped me immensely in making sure the language is accessible and engaging. She might also be adding philosophical comments throughout the book in upcoming revisions. And I used the book in the classroom to teach a first-year elective course. The course went very well, judging from the depth and variety of questions the students asked and the level of interest and engagement they showed. The applets were particularly a hit. I also distributed it to some of my research colleagues and the initial reaction is very positive. More plans for the e-book? One interesting aspect of the electronic book format is the ease with which it can evolve. Both text and applets are easy to update, and I am open to expanding on the work with feedback from readers. Indeed, I used the book in teaching a frosh elective course in the fall of 2017, and in the process, I entirely re-wrote one of the chapters after seeing how the material fielded in the classroom. For my upcoming lectures, I will use the material in the e-book and the applets to explain these exciting and crazy ideas in modern theoretical physics. Also, currently the electronic book works only on the iPad/iPhone/Mac platforms, but I plan to release Android and Windows versions soon. Given the technological limitations on the other platforms, these would be released as apps as opposed to electronic books.